It’s not often I begin an anecdote in the shower, but this was one of the more memorable bathing experiences of recent times. My journey and arrival at Royal Livingstone Victoria Falls Zambia Hotel by Anantara had already proved to be extraordinary, transiting through Johannesburg and speed boating down the Zambezi river to arrive at the expansive national park resort, perched ever-so close to the cusp of the roaring Victoria Falls. The rising mist from the falls was quickly replaced by the steam of the bathroom, where I was rinsing away the fatigue of the overnight journey and in my weary state I had already flaunted one of the house rules – don’t leave your patio door open. Emerging from the bathroom in my ground floor Deluxe Room, swaddled in Anantara’s finest robe, I immediately locked eyes with a monkey the size of a stocky three year old. Palming the last of my complimentary cookies, the marsupial proceeded to perform a swift 180-degree turn on the desk, trip over my laptop power cable and smash a glass of water on the floor. I was to blame. I was sharing the resort with all manner of beasts and I had foolishly not paid attention to the sagely advice of my oh-so savvy butler. But the animal encounters were just beginning. Eager to experience the mighty falls I left the wonderful staff to pick up the literal pieces from my close encounter and took directions to follow the river to its 108-metre plunge. I hadn’t even set foot outside of the resort before coming toe to toe with “Giraffa camelopardalis”. Compared to this adult giraffe, I was the aforementioned startled monkey, not even a third of its stature. The neck of a fully-grown male alone can stretch six feet, as thick as a birch tree, with the alien-esque mammal reaching 18 feet on average. Once my Instagram story was fully stocked with impromptu giraffe selfies, I also managed to catalogue zebra and various other ungulates on my sojourn, only wary of the Zambezi crocodile, which – I’m told – is not a threat to guests. The feeling of being surrounded by such spectacular flora and fauna is worth the price of admission alone, but it wasn’t until I approached the falls that I realised how special this area was. Long before Livingstone left his mark on this particular corner of East Africa the Kalolo-Lozi people had their own name for earth’s most magnificent water feature – Mosi-oa-Tunya: “the smoke that thunders”. It may sound a tad dramatic, but it’s about as far from hyperbole as language can possibly be. The experience was on par with the Grand Canyon. Sometimes nature just decides to flaunt its features and in this case the components are the simple combination of H20 and gravity, but what it does with those ingredients is unforgettable. The sensory experience builds as you approach, with the fine mist condensing and turning into a perpetual rain machine as you enter the falls’ wet zone. The “thunder” refers to the rising rumble of the billions of tons of water cascading the length of an Olympic sprint and crashing into the river and rocks below. “Mosi-oa-Tunya” also happens to be the name of the national park that envelopes the resort – best viewed by a chopper or microlight flight over the falls. Your concierge will be able to arrange the excursion with the nearby air field, allowing you views of bathing hippos, wandering elephants and a chance to take in the sheer scale of the falls from a bird’s eye perspective. You may even stray over the border – just a tad – and enter Zimbabwe for a moment, but it’s debatable that you’ll be able to claim you’ve visited the neighbouring nation. But there’s really no reason to stray far from the resort – particularly when you have nine incredible dining destinations. Food is always a key component of the Anantara experience and the Royal Livingstone is no exception. Whether you’re “Dining By Design” with candlelight under the monkey tree or experiencing African-style fireside entertainment with your grilled meats at Boma, there’s an abundance of choice and much of it is al fresco, making the most of the fresh air, animal spotting and unrivalled sunsets. The most iconic dinner option, however, is one that I was not able to sample during my three-night stay; dining aboard The Royal Livingstone Express. 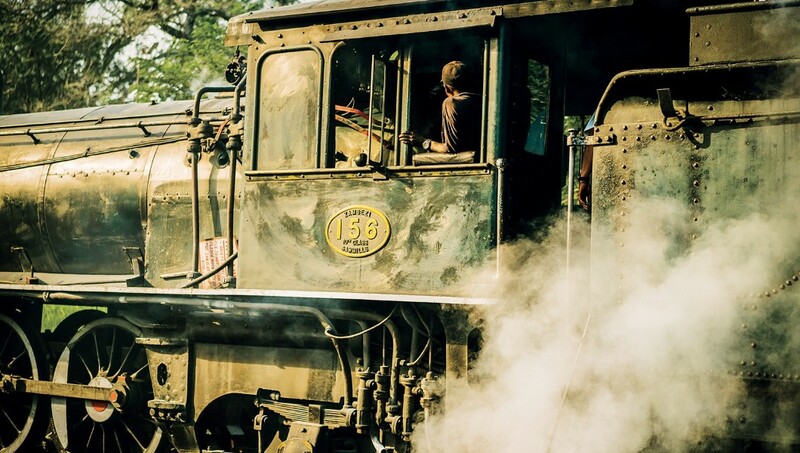 The steam train is restored with polished leather seats and teak and brass fixtures, creating the ideal setting for a gourmet five-course meal. Departing from Livingstone through national park and the Zambezi River Valley, you have the chance to marvel at yet more wild giraffes, zebras and antelope. The dinner by rail experience crosses the Victoria Falls Bridge as you sip on the finest South African wines. Once you’ve cruised the river with a deluxe picnic (and spotted some of the elusive crocs) the main activity to cross off your list is a bliss-inducing session at Anantara Spa. When booking your hour-long massage, opt for a riverside massage where you can recharge with a full view of the Zambezi, aided by a handily placed mirror beneath the massage bed. The 90-minute Anantara Signature Massage combines Eastern and Western techniques, with a signature oil that stimulates your circulation and deeply relaxes muscles before you leave Mama Africa and return to the daily grind. Chances are, the thundering smoke will call you back before too long.